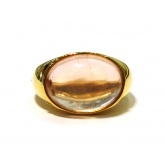 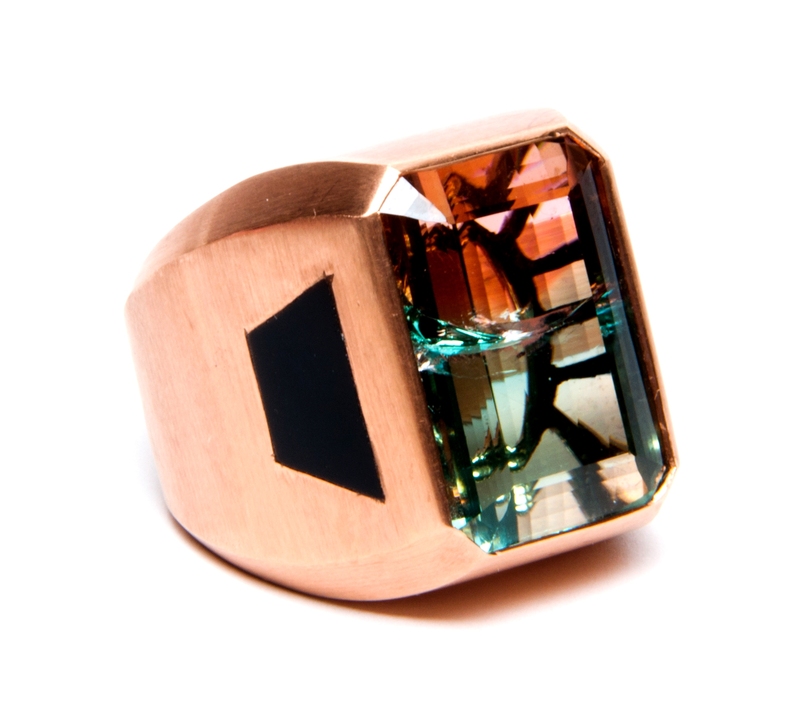 14kt rose gold ring with a gorgeous 38.69 carats total weight natural bicolor watermelon tourmaline stone. 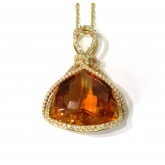 Trapezoid onyx is inlayed on either side at 2.23ct and 1.70 ct. 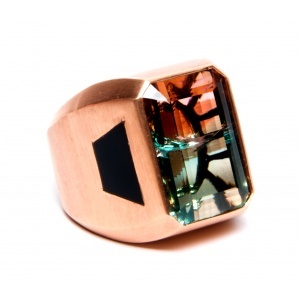 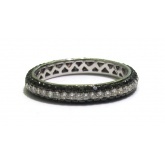 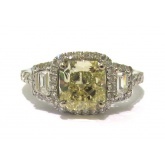 This incredible ring is a great statement piece.